The economic slowdown that affected the UAE, and Dubai in particular, from 2009 to 2011 highlighted the inadequacy of the existing legal framework for restructuring and insolvency. While liquidity shortfalls and the collapse of the construction and real estate markets have had adverse impacts on many UAE-based businesses, the existing laws relating to restructuring and insolvency remain largely untested in view of the lack of procedures for reorganisation and protective composition. The requirement for a new restructuring and insolvency regime arose because of the lack of adequate legislation to govern bankruptcy of businesses in the UAE. The resulting Federal Law No. 9 of 2016 on Bankruptcy (the Bankruptcy Law) came into effect on 31 December 2016, repealing the previous law relating to insolvency and attempts to address these issues and signalling a move away from a creditor-friendly regime to one that favours the debtor and its ability to have control over the state of its solvency. The Bankruptcy Law applies to any company governed by the provisions of the Commercial Companies Law,5 businesses formed in the free zones (except those in the financial free zones of the Dubai International Financial Centre (DIFC) and the Abu Dhabi Global Market (ADGM), which have their own bankruptcy rules), licensed civil companies, public sector companies (i.e., those wholly or partially owned by the federal government or an Emirate government), and individual traders. Under the Bankruptcy Law, a debtor can apply for preventive composition rather than having to proceed directly to bankruptcy proceedings. During the preventive composition scheme, the debtor will be under court protection from individual creditor claims. This option is only available to debtors if it has not been in default for more than 30 consecutive business days and it is not insolvent. Once the scheme is in place, the debtor cannot dispose of any property, stocks or shares, make any borrowings, or (if it is a company) change ownership or corporate form. The debtor must make an application to the court that must include, among other things, a description of its economic and financial position, details of its moveable and immoveable properties, employees and creditors, and its cash flow and profit and loss projections for the 12 months following the date of its application. 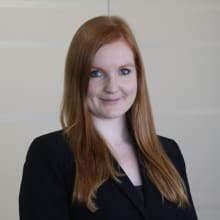 The debtor must continue to perform its obligations under any of its contract, provided that the court has not issued a judgment of stay of execution owing to its failure to perform its obligations under such contract. A trustee will be appointed to facilitate the preventive composition process, and such trustee will have the right to request the court to rescind any contract if that is what is in the best interests of the debtor and its creditors and provided that it does not substantially harm the other contracting party's interests. The court will appoint one to three trustees as designated by the debtor, or it will appoint an expert or other person (if more appropriate). The trustee is obliged to publish in two daily local newspapers: (1) a summary of the decision approving the preventive composition, with a request that all creditors file appropriate claims; (2) a list of the debts and statement of accounts accepted from each of those debts; (3) the invitation to creditors to discuss and vote on the draft preventive composition arrangement; and (4) once approved by the court, the decision and summary of the arrangement. Ultimately, the court will approve the final list of approved creditors, having reviewed any objections received following the publication of the debts. The trustee will submit the draft arrangement to the court, who will then have five business days to make its decision to approve or reject it (taking account of any creditor objections). Thereafter, the trustee is responsible for supervision of the arrangement throughout the implementation period, including submission of quarterly reports to the court detailing progress and any failures by the debtor to implement the arrangement. The trustee can apply to the court for any amendments to be made to the arrangement if it considers it necessary at any point during the implementation period. The arrangement must be implemented within three years of the date of court approval. This term can be extended for a further three year period if a two-thirds majority of the unpaid creditors consent to such extension. Following a request by the trustee, and pending discharge of the debtor's obligations under the arrangement, the court will issue its decision confirming that the arrangement has been fulfilled. Such decision will be published in two daily local newspapers. While undergoing the preventive composition or restructuring process, a debtor (or the trustee) has the option to apply to the court for authority to obtain new funding. Any 'new' creditor will have precedence over any ordinary outstanding debt owed by the debtor (but providing protections for existing creditors). The debtor must apply to the court to initiate proceedings if it cannot repay its debts as they fall due for more than 30 consecutive business days. The Bankruptcy Law has expanded the number of parties that may apply for the bankruptcy of a company. It is now possible for a debtor company, its creditors, the competent controlling body of the debtor company and the public prosecutor to apply to the courts for a bankruptcy order. Bankruptcy applications from the above parties will be subject to different requirements. For a creditor, or group of creditors, to make a bankruptcy application against a debtor, it must show that: (1) the debtor remains in default 30 consecutive business days after the creditor sent a written notice of the overdue debt to the debtor; and (2) the debt meets the minimum threshold of 100,000 dirhams. This 100,000 dirhams threshold may prove challenging for smaller trade creditors who are unlikely to meet this threshold and may not be able to identify other creditors to join in taking action, in particular as the annual accounts of most UAE companies are not publicly available. The creditor's bankruptcy application must be accompanied by: (1) the aforementioned notice to the debtor; (2) information on the debt and any related guarantees; and (3) a payment or bank guarantee for 20,000 dirhams, to meet the expenses and costs on initial procedures for deciding the application. This provides a much more debtor-friendly position than under the old bankruptcy regime. A creditor will have one year from the: (1) date of death of the debtor; (2) striking off of the trader from the commercial register; or (3) date of judgment of incapacity, to apply for bankruptcy proceedings against a debtor. A bankruptcy application can be made for any company, even when the company is in the process of liquidation. A trader may be declared bankrupt in the same ways as a company (see above). Within 10 business days of receiving of a bankruptcy application the court will appoint an expert (ideally from its approved list of experts) to help the court evaluate the position of the debtor. The expert will prepare a report for the court outlining the debtor's financial position and provide an opinion on the possibility for the restructuring the debtor. The court will make a determination on the bankruptcy application within five business days of the later of the receipt of the application or the expert report. Upon receipt of the bankruptcy application, the court may take such measures (either at its own initiative or at the request of an interested party) as are deemed necessary to maintain or manage the properties of the debtor while it makes its decision (including sealing the place of business of the debtor). While the court evaluates the bankruptcy application, the secured creditors can still enforce the pledge or lien as and when they become enforceable. The court may grant permission within 10 business days of the application from the secured creditor to the court. The court will decide the degree of priority if there are many secured creditors for the same asset. If the court accepts the bankruptcy application the court may appoint one or more trustees to administer the bankruptcy. A trustee has various responsibilities including publishing a summary of the court's decision to initiate bankruptcy proceedings in two local newspapers, notifying known creditors, review the claims and supporting documentation from creditors, provide updates to the court on the bankruptcy, maintain a record of creditors and debtors of the bankrupt company and submit a list of creditors to the court – the court will approve the final list of approved creditors, having reviewed any objections received following the publication of the debts. Certain persons cannot act as trustees, for example, a creditor of the debtor, spouse or fourth degree relative of the debtor or a convicted felon, fraudster or perjurer. Once a bankruptcy judgment is delivered the trustee shall publish a notification of the judgment in two newspapers and ask all creditors to file a final claim within 10 days of the publication. All late filings of debt will be disregarded, unless the court decides otherwise. If the trustee fails to notify any creditor to attend a creditors' meeting or fails to make a publication in accordance with the Bankruptcy Law, the relevant creditor may lodge a grievance with the court within 10 business days of the relevant creditor becoming aware of the creditors' meeting. If the court approves the grievance, it may order the stay of any decision based on the results of the creditors' meeting, provided that the remaining creditors shall not be harmed. The trustee may sell all assets of the debtor at auction, under the supervision of the court. The trustee shall update the court and trustee on a monthly basis and distribute the proceeds from the sale of the debtor's assets to the creditors. Any interested party may also submit a grievance with the court if the trustee: (1) has acted or has proposed to act unfairly, to the detriment of the interested party; (2) fails to perform its tasks with due diligence; or (3) abuses or retains any monies or properties of the debtor or breaches any other obligations to the debtor. The Bankruptcy Law retains the two-year rule regarding 'voidable' or 'fraudulent' preferences. Consequently, all transactions made by the debtor during the two-year period preceding the initiation of bankruptcy proceedings can be reviewed by the trustee to determine whether these should be set aside as having been an 'unfair preference' and the Bankruptcy Law lists the types of transaction that the court will consider as representing unfair preference, including donations or gifts, payment of debts when such payments were not yet due or the creation of any new guarantee on the debtor's properties. The court will consider whether such transaction was 'detrimental' to the creditors and if the transacting party knew (or ought to have known) when entering into the transaction that the debtor was in financial difficulty and, thereafter, make its judgment on whether it should be set aside. As soon as a bankruptcy judgment is pronounced, the bankrupt is, with certain exceptions, prevented from administering and disposing of assets. At the request and under the supervision of the trustee, the court may give the debtor six months (extendable by two years) to sell all or part of its business, if this serves the creditors or public interest. When a bankruptcy judgment is pronounced, all monetary debts owed by the bankrupt become payable, whether ordinary or guaranteed by lien. The court can deduct legal interest (9 per cent) for the period from the date of the judgment until the maturity date of the debt for deferred debt where no interest is stipulated. The court can grant approval to the following categories of person to purchase the debtor's properties if that would satisfy the creditors interests: (1) spouse, relative by marriage or up to fourth degree relative; (2) any person who was a partner, employee, accountant or agent of the debtor (within two years prior to the date of judgment); or (3) any person who works or worked as the auditor following the initiation of bankruptcy proceedings. Where a debtor owns any common properties, the trustee (or any of the co-owners) may request division of such property, even if there is an agreement between the co-owners that does not allow such division. Upon request by the trustee, the court can order the rescission of any contract that the debtor is a party to, provided such rescission is necessary to enable the debtor to transact his or her business or if it would fulfil the interests of all of the creditors and not significantly prejudice the other contracting party's interests. Following a bankruptcy judgment, a group of creditors is established. The group of creditors consists of persons having valid claims on the bankrupt dating from before the bankruptcy judgment. The pronouncement of the bankruptcy judgment results in the suspension of individual proceedings and actions brought against the bankrupt by ordinary creditors or preferred creditors. When a bankruptcy judgment is pronounced, all monetary debts owed by the bankrupt become payable, whether ordinary or secured by a general or particular charge. The names of creditors of the bankrupt who have debts secured by a chattel mortgage or lien, or by a mortgage over real property, are entered in the group of creditors with reference to the mortgage or lien, and such secured creditors enjoy priority of repayment from the proceeds of sale of the secured assets. Secured creditors shall be paid from the proceeds of the sale of the secured assets. If the sale proceeds of a secured assets do not fully satisfy the relevant secured debt, then any outstanding amount of the such debt shall be treated as ordinary debt. If the sale of the secured asset produces a surplus (after settlement of the relevant secured debt), such amount shall be for the account of the unsecured creditors. any non-guaranteed new finance (including the principal debt, interest, and unpaid related expenses). to continue the course of the business of the debtor after the date of initiating procedures. The creditors in each class of debts listed above are ranked equally, unless the debtor has insufficient funds to satisfy each creditor ranking equally. In this case, the rank of debts is equally reduced. Following the payment of the preferential debts above, the holders of debts secured by pledges or liens shall be ranked higher than the ordinary creditors. Any person is entitled to restitution from the bankrupt's estate in respect of specific items that the person can prove he or she owned at the time of the bankruptcy judgment. The Bankruptcy Law sets out the procedure and timetable for the verification of debts of creditors by the trustee in bankruptcy and the establishment of a final schedule of uncontested debts by the judge supervising the bankrupt's estate. In the case of companies, debentures issued by the same in accordance with the Commercial Companies Law are not subject to the procedures for the verification of debts. Such debentures are to be accepted at their nominal value after deduction of any amounts paid by the company. If the bankruptcy proceedings are halted because of insufficiency of assets prior to ratification of a judicial composition or establishment of a state of union the court may, at its own discretion or in accordance with a report from the judge supervising the bankrupt's estate, order that the bankrupt's estate be closed. In such instance, each creditor once again has the right to take steps and to initiate individual actions against the bankrupt. The Commercial Companies Law provides for the dissolution of a company in certain prescribed circumstances. This includes, for instance, where the losses to a limited liability company amount to half of its capital whereupon the company's manager shall ask the general assembly to consider the issue of voluntary dissolution. Similarly, if the losses of a limited liability company reach three-quarters of the capital, the shareholders holding one quarter of the capital of such company may demand to dissolve the company. The authority of the manager or managers and the board of directors shall terminate immediate with the dissolution of the company and all debts of the company become due and owing upon an application for the company's dissolution. If the company's assets are not sufficient to meet all of the debts, then the liquidator is required to make proportional payment of such debts, without prejudice to the rights of preferred creditors. Every debt arising from acts of liquidation must be paid out of the company's assets in priority over other debts. Following settlement of all debts, the remaining assets of a limited liability company, resulting from liquidation, shall be divided among all the shareholders. Each shareholder, upon division, shall obtain an amount equal to his or her share in the capital, and the rest shall be divided among the shareholders at the pro rate of their shares in the profits. If a shareholder fails to appear to collect his or her share, the liquidator shall deposit such share in the treasury of the competent court. If the net funds of the company are not sufficient to pay the shares of the shareholders in full, the loss shall be distributed among them in accordance with the prescribed rate for the distribution of losses. The new Bankruptcy Law signals a milestone development in the insolvency regime in the UAE, offering greater protection for debtors, and encouraging restructuring to enable troubled businesses to survive rather than having to proceed directly to bankruptcy proceedings. 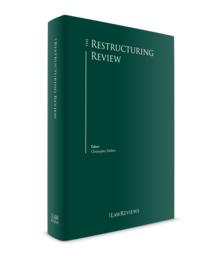 There are limited means to gauge market trends with respect to restructuring procedures, as generally little information is published or released with respect to businesses facing financial difficulties. The insolvency regime set out in the Bankruptcy Law is untested. There is also significant cultural aversion to the concept of bankruptcy, and the formal insolvency regime is avoided for that reason as well (in addition to potential criminal penalties for managers or directors of bankrupt businesses). As such, there is little in the way of information regarding significant transactions or active industries. The UAE has not entered into any international treaties specifically covering insolvency or restructuring. The Bankruptcy Law does not envisage how judicial assistance would be provided in the UAE to proceedings commenced in another jurisdiction. There are no anticipated future developments in the law applicable to the insolvency regime in the UAE, as the Bankruptcy Law itself represents a long-awaited and comprehensive overhaul. However, the Bankruptcy Law is still very new and its adoption, implementation, and practical application remain largely untested. The practical application of the Bankruptcy Law, as developed through experience, will be fundamental and must be observed closely as it occurs. 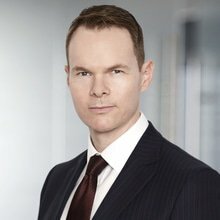 1 James Bowden is a partner and Rahat Dar and Tara Jamieson are associates at Afridi & Angell. 2 The term 'trader' is defined in UAE Federal Law No. 18 of 1993 promulgating the Code of Commercial Practice (the Commercial Code) to include any person who works in his or her own name or to his or her advantage in commercial activity while possessing the required legal capacity, provided he or she adopts this activity as a profession; and any company that undertakes commercial activity or takes one of the forms stipulated in the Commercial Companies Law. 3 This framework does not apply to all free zones within the UAE. The Dubai International Financial Centre (DIFC) and Abu Dhabi Global Market (ADGM) (both financial free zones) have developed their own insolvency law and insolvency regulations for DIFC and ADGM entities. 4 The criminal sanctions relating to bankrupt estates under UAE law are not elaborated upon in this chapter, which focuses on the restructuring and insolvency framework in the UAE. 5 The Commercial Companies Law provides for the following types of companies: limited liability companies, simple commandite companies (a type of partnership), joint liability companies (another type of partnership), public joint stock companies, private joint stock companies. Its provisions (excluding the incorporation provisions) also apply to foreign companies.